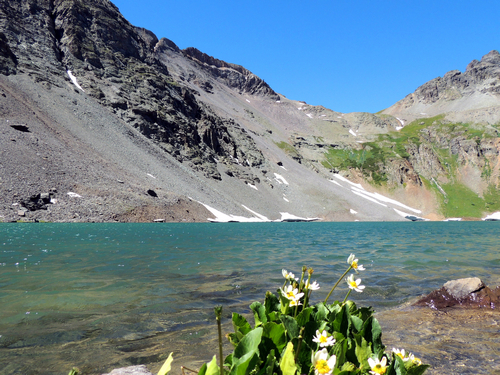 Clear Lake is a beautiful alpine lake at 12,000'. 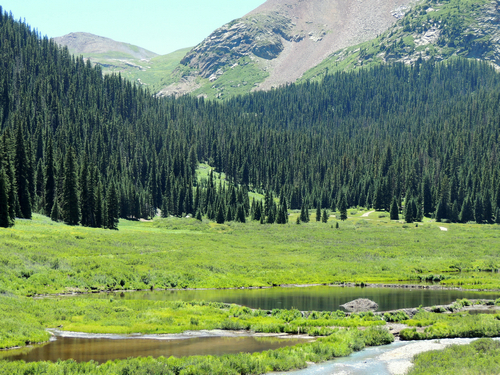 Close to Silverton. People have been fishing during our visits, so there must be fish there. 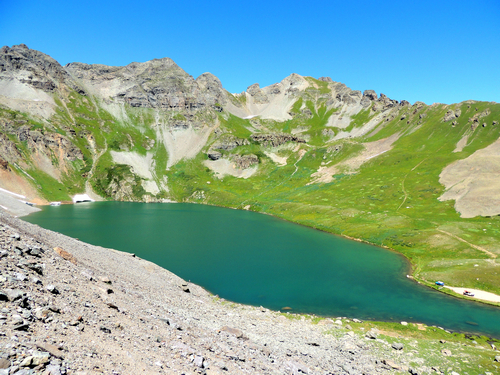 Scenery around the lake is fantastic, as it is on the Jeep trail up to the lake. The peaks shown above are visible as you climb up above timberline. 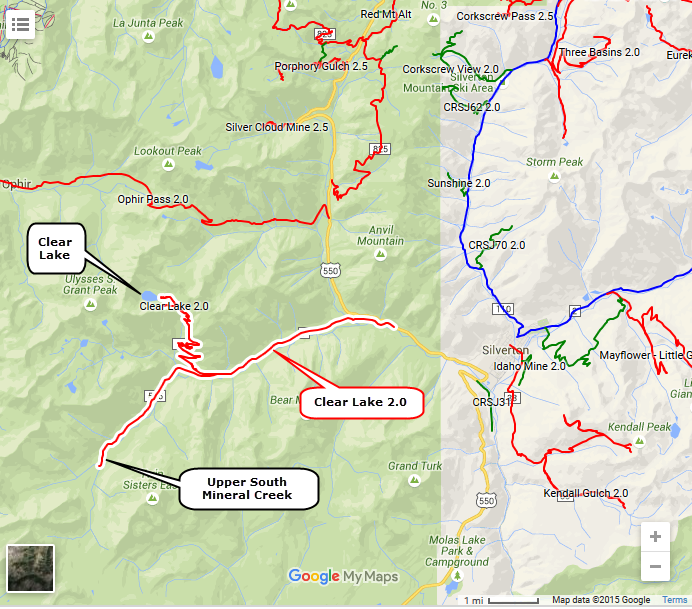 The track for this trail also includes the upper part of the road along South Mineral Creek. This is much lower than Clear Lake but is an interesting drive. 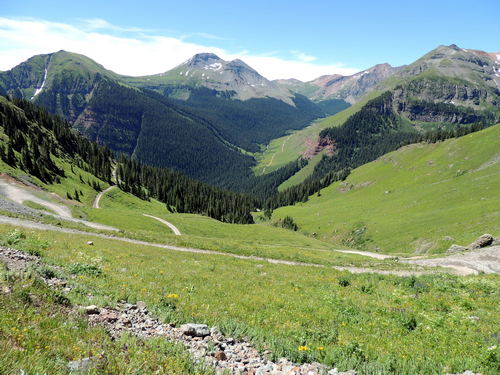 This photo shows the upper part of South Mineral Creek, as well as the road leading up to Clear Lake. 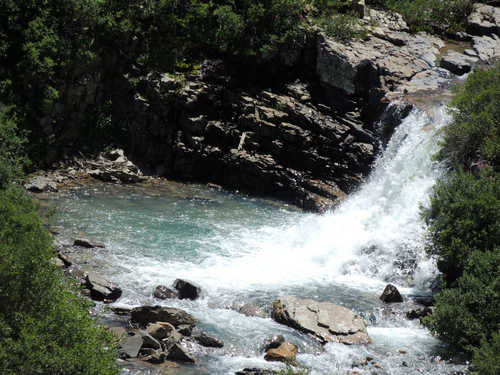 There is a waterfall with a nice pool on the trip up South Mineral Creek. Beaver dams and an unorganized camping area at the end of the road.